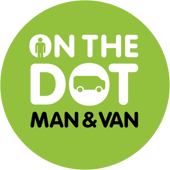 Our man with van Bristol service offers a professional, friendly, fully insured removals for genuine man with van prices. We pride ourselves on being the most friendly man with van service in Bristol. Bristol is a vibrant city with lots of people moving on a daily basis who require a man with van Bristol service. We love serving the people of Bristol and hope that they enjoy our friendly man with van service as much as we enjoy serving them. Our man with van Bristol service specialists in moving single items of furniture. Vans provided for the man with van Bristol service include a LWB Vauxhall movano and a LWB fiat ducato, all you could need from a man with van service right here in Bristol. Our man with van Bristol service will post long distance journeys that are booked in advance on twitter. If you have items which need collecting and delivering along this route when the van is empty the man with van Bristol service will collect for half price! !